1. Was profit sharing eliminated? If so, what was it replaced by? We eliminated profit sharing and replaced with a base pay increase that is substantially more valuable to our members. Profit sharing is a one-time bonus pay conditioned on profitability. It is not base pay which is a permanent part of compensation. 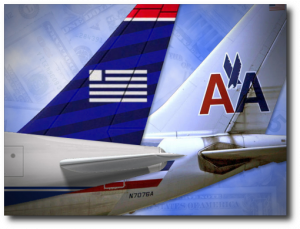 We have not received any such profit “bonuses” since at least 2000, because AA has not been profitable since then US Airways strongly resisted agreeing to continuation of profit sharing because it does not provide such a program for most of its own employees. Under the circumstances, it was obvious that guaranteed pay raises, instead of variable non recurring bonuses, made better sense. This was underscored that we faced a one time, quickly closing, window to negotiate this deal before a decision was made in court on a possible merger. We seized the moment to get you real pay instead of dollars that may never come. Profit sharing was replaced by the 4.3% base pay increase, worth much more than the profit sharing ( if it ever was paid), for the duration of the Agreement. To give you a sense of how much better and more valuable this change is for all members, you should understand that if AA made one billion dollars in 2013, the profit sharing formula we gave up would have yielded a $625 bonus payment for each member. If AA made a billion dollars all four years prior to the early opener of the contract, the formula would generate $2500 total for the four years. Of course, sustained profits of a billion dollars a year would be a level of profitability that AA has never achieved. By contrast, for a mechanic, for example, the 4.3% is worth a $1.20 per hour pay increase or $2500 per year which becomes a permanent part of the employee’s base pay. Therefore, the 4.3% will create close to $10,000 in additional pay in the four years leading up to the contract opener, depending on when the merger occurs and the increase is implemented. This calculation does not include the fact that this increase makes future percentage increases more valuable because they will be calculated off of a higher base, and that the increase will be compounded into overtime work as well as 401k payments. The bottom line is that the base pay increase is obviously substantially more valuable than profit sharing even assuming AA experiences the best profitability in its history. 2. When does the 4.3% raise take place? The raise will take effect when the plan of reorganization which provides for the merger becomes effective—i.e. upon exiting bankruptcy. The timing of the raise has nothing to do with the operational integration of the two carriers: it will take place before any single carrier petition can be filed, let alone approved. 3. Who will get the increase: Will furloughees be included? The 4.3 percent increase in hourly rate will be paid to all TWU AA employees, Those on furlough will be paid at the increased rate when they are recalled to work, regardless of whether they were working or on furlough on the date when the increase took effect. 4. Are all issues regarding seniority integration resolved in this MOU? No. Questions about exactly how the seniority merger will be managed if the merger between AA and US Airways is accomplished are premature. TWU has only committed to offer, in accord with the terms of the MOU, a plan for seniority merger which is based on date of hire into the classification. This leaves numerous questions related to conditions for exercise of seniority and restrictions on its use for negotiation between TWU and the representative of each given class or craft at US Airways. Should these problems not be resolved by negotiation, they will be resolve through arbitration, as is required by the law. Where the class or craft is represented on both airlines by TWU, questions regarding the conditions and restrictions effecting use of seniority will be resolved through a similar process, though under the TWU Merger Policy: there will be negotiations between the two groups, followed by arbitration—if necessary. 5. Can the seniority integration change the relative seniority of members within any TWU group? Integration of seniority between the different airlines cannot change the relative seniority of employees within each separate group. This will not be changed either through negotiations or later arbitration. 6. If there is a merger, does the MOU address how work forces will be mixed? 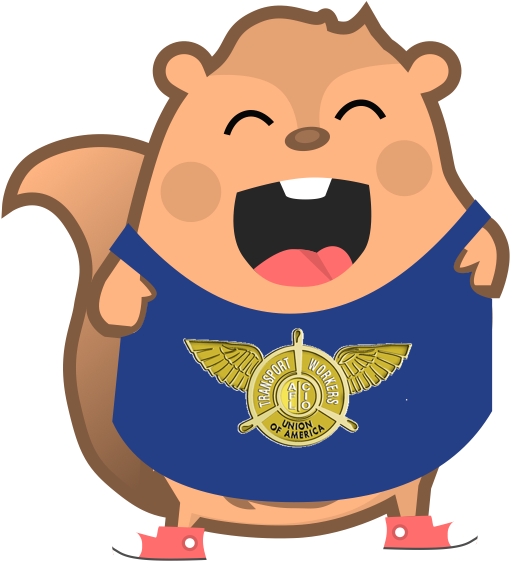 In the MOU, TWU agrees only to discuss possible transition agreements which we anticipate will protect our members by agreements which may include “fences” which will keep the workforces of the formerly separate airlines from being mixed until all questions regarding integration have been resolved by negotiation or arbitration. 7. Can the new seniority list, when implemented, result in a working employee being displaced by a furloughed employee? By another working employee? In the MOU, the parties have agreed that detailed seniority integration proposals should not result in displacement of a working employee by a furloughed employee, or by another working employee. (no “system flush”). 8. When will seniority integration be implemented? 9. Are early out commitments changed for employees, particularly mechanics with special skills? No. The early out was not changed; it is still as agreed to by AA. That agreement does not permit the Company to deprive any mechanic of an early out if he signed on for one during the time frame for doing so. 10. Has the “Me Too” provision been lost? The “me too” letters have never been, and will not be applied to US Airways. USAirways does not have “me too” arrangements covering its own workforce. 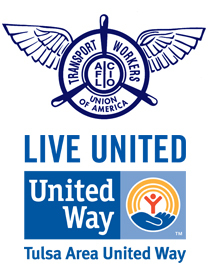 However as stated in the MOU, “…the TWU shall reserve its right to maintain and/or assert (in accordance with the terms of the Me Too letters) a claim solely in regards to American’s collective bargaining agreements with the APA and APFA in the form and substance approved by the Bankruptcy Court through December 19, 2012, or any new agreement entered between American and the APA or APFA after the date of this Memorandum and prior to the Merger.” Simply put, the “me too” letters regarding APA and APFA remain in effect. 11. What authority did the TWU have to negotiate these transition arrangements? The TWU operated under the same authority as a certified RLA representative as the APA and APFA, and handled matters in a similar way. All three unions, pursuant to their role as RLA certified representatives, were able to take advantage of circumstances in order to gain more advantageous agreements for their members by using the alternative plan offered by US Airways. .
At TWU, the authority granted to the union by the RLA was exercised by the International President, whose authority derives from the TWU Constitution. In exercising this authority, President James Little had the assistance of legal counsel at all times, and also relied on the work of the TWU Director of Research in order to make certain that the value of the 4.3% across the board wage increase far exceeded the value of all the language eliminated in order to secure the increase. 12. Is this MOU the only binding agreement that TWU now has with US Airways? Yes. Any and all prior agreements are supplanted by this MOU.